This guest post by Patricia Rolling, RN, is taken from her submission to the 2013 Correctional Nursing Celebration Essay Contest. I remember on my first day of nursing school my classmates and me being asked what type of nursing we wanted to practice. I remember some of my classmates answering “pediatrics” and “mother/baby”; after all, babies are cute. The adrenalin junkies in my class answered “ER” or “ICU”. What I don’t remember is answering “correctional nursing”. That’s probably because I didn’t. I didn’t know what correctional nursing was. Fast forward to today and I can’t imagine myself doing anything else. 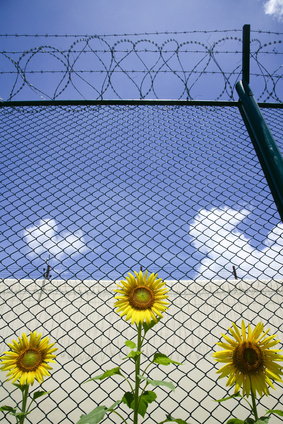 All too often, nurses that choose to practice correctional nursing are viewed by their peers as misfits that somehow can’t make it anywhere else. This is so untrue! It takes a special level of caring to be able to provide care for those people that society has deemed unworthy. There is more to nursing, though, than just caring and the prison environment makes some of those other aspects a bit more challenging. Privacy is virtually impossible to come by in an environment where safety is and must be the primary objective. The nurse/patient relationship works best when it is one of equality and mutual respect. The inmate/correctional officer relationship by its very nature is one of inequality and hierarchy. B. Jaye Anno states in her book Correctional Health Care “The purpose of medicine is to diagnose, comfort, and cure; the purpose of correctional institutions, although sometimes rehabilitative, is to punish through confinement.” (B. Jaye Anno, 2001) In order for these two diametrically opposing concepts to coexist, a correctional nurse must have a strong, personal and ethical commitment to the patients she cares for. She must be committed enough to her patient’s welfare to be able to advocate for them when their needs and those of the correctional personnel are in conflict with one another. The third element of Watson’s Transpersonal Caring states, “Care is authentic presence where the nurse honors the patient’s dignity and vulnerability.” Nowhere is this more evident than when working in the Receiving Room. In Delaware, where I practice, we have a jail/prison system. What that means is that because there are no county jails, when I see a patient in Receiving they have been in the custody of the State or local police for perhaps 6-8 hours. They are feeling scared, overwhelmed and very vulnerable. Within the few short minutes after their arrival and before they meet with me, they have been fingerprinted; strip searched and assigned a number that will effectively serve as their identity for the remainder of their stay in prison. In other words they have been stripped of their human dignity. Then I come along and ask them very personal questions such as have they ever been the victim of sexual or physical abuse, as well as asking whether they drink alcohol or do drugs. In order to get the honest responses that will allow me to render the appropriate level of care, I have to quickly establish a rapport that makes it clear that I can be trusted. I have a very short period of time to make it understood that I am NOT security and that what they say to me will be held to the same level of confidentiality as if we were in a hospital or a private doctor’s office. Since I am the first person from the medical department that they have any contact with, it is imperative that I set into motion a relationship based on honesty and respect that will last as long they are in custody. At the same time I have to make it clearly understood that I will not be manipulated or used by them to achieve their own personal goals. It is definitely a fine line to be delicately trod. I have learned, and am still learning, how to give the level of caring, compassionate and medically appropriate care that I want to give and that my patients deserve to be given while also maintaining the necessary professional distance and keeping the necessary degree of personal safety. Which brings us back to the original question, “Do Correctional Nurses Care?” While I can’t answer for any other correctional nurses I can say unequivocally “This correctional nurse does”! 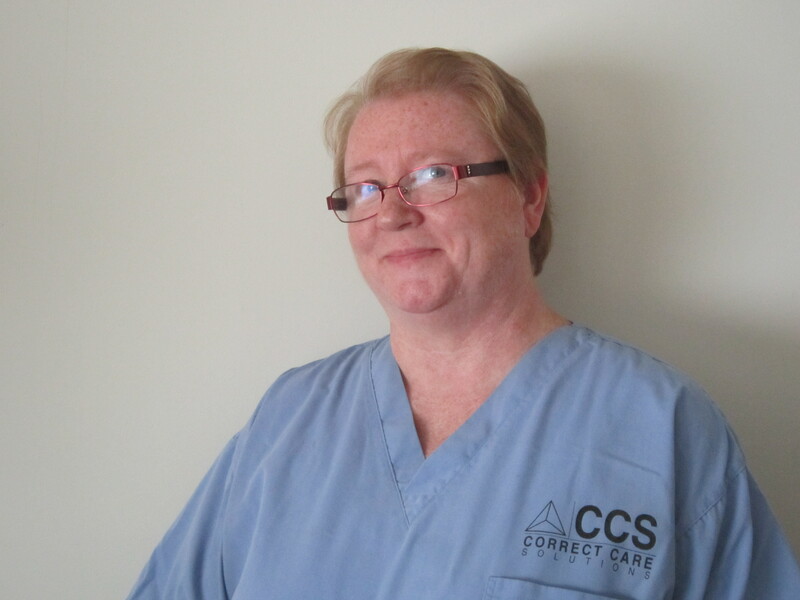 Patricia Rolling, RN, is a relatively new correctional nurse having started at James T Vaughn Correctional Center in Smyrna Delaware just over a year ago. She has rotated through several positions at the facility and is currently the 11p-7a clinic nurse. She most enjoys working in intake where she is able to set the stage for the new inmate’s relationship with the correctional medical staff. Her next goal is to attain CCHP certification this summer. Read more about caring in correctional nursing practice in Chapter 2: Ethical Principles for Correctional Nursing from Essentials of Correctional Nursing. Order your copy directly from the publisher. Use promotional code AF1209 for $15 off and free shipping. This entry was posted in Caring and tagged correctional nursing, Essentials of Correctional Nursing, jail nurse, prison nurse, Reflection, Scope of practice. Bookmark the permalink. Wow, what a lady! All are lucky who come upon you and your caring ways… your words express so much!